Natural felted wool allows you to soften clothes in one of the most natural ways possible. This set includes six handmade balls that will take the place of liquid fabric softeners and dryer sheets. Avoid harmful chemicals and toxic substances, but get the same results. 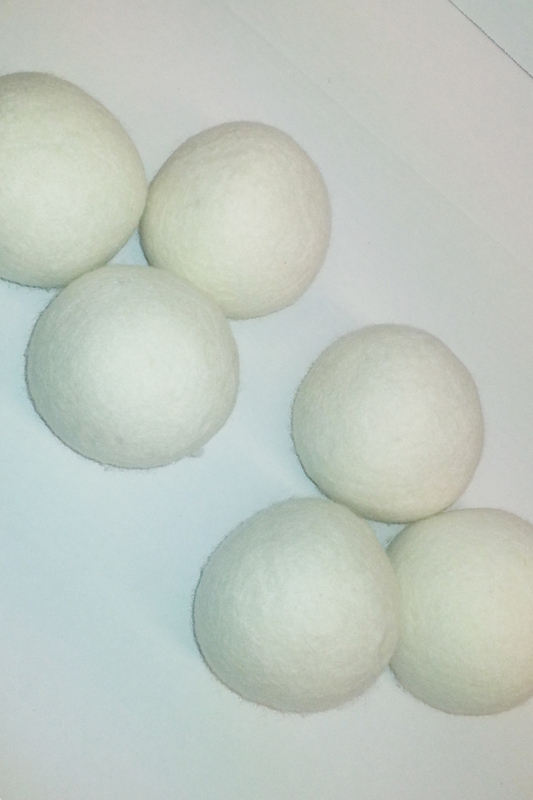 When you place these wool dryer balls in with a load of laundry, they will tumble around to soften fabrics, reduce wrinkles, eliminate static and shorten drying times. With the addition of some essential oil, you can even add fragrance without relying on irritating perfumes. Use three or four when drying a small load, or use all six for medium and large loads. For anything bigger, using more than six will produce the best results. They are totally reusable, and they actually increase in ability over time. As pilling starts to occur, the little nubs will help massage clothing to remove loose lint, and make it softer. Due to the separation that occurs as they mix with your clothes, air will flow more efficiently, so everything will dry in less time. Stop wasting money on risky products, and switch to an alternative that performs as well, but leaves you with nothing to worry about. Want less than six balls? If you only wash small loads of laundry, or you are replacing worn or missing balls, you can get our 3-pack instead. Want to make your laundry smell good too? Our dryer ball and essential oil combo is a great way to get started with this natural fabric softening system because you get a 3-pack of balls and a 1/2 oz. bottle of pure essential oil for one low price. Top Quality. Similar products are smaller, machine made, or constructed with inferior wool. These premium quality balls outperform others, and last for a long time. Extra Large. Others claim to be big, and many put XL or XXL or XXXL right in the name. At nearly 10 inches in circumference, these ones actually are extra large, so you will actually reap the benefits that others can only claim. Larger balls result in more separation, so you get less static and clothing dries faster when compared to other options. Solid. Try to save a few bucks elsewhere, and you may end up with inferior balls that have a core made from something besides wool, or ones made from wool yarn that's been wrapped up. Our high quality version is solid felted wool, so they will work better and last longer in comparison. You never have to worry about questionable material at the center, and you never have to worry about them unraveling to fall apart prematurely. Reusable. Unlike traditional products, these don't need to be repurchased or refilled to continue working. Use over and over again for one price. Renewable. Plastic versions are made from petroleum, but these are made from natural wool. This makes them eco-friendly. Effective. Incredibly efficient, they work as well, or better than chemical soaked alternatives. Reduce Drying Times. Air inside your machine will flow better due to the separation of fabrics that occurs. As a result, it will take 20%-40% less time to complete the load. Soften Fabrics. As they move, the material massages clothing to reduce stiffness. Eliminate Static. The improved air flow combines with the wool material to avoid and reduce static build up. Prevent Wrinkles. The gentle agitation smooths out wrinkles to make clothes wearable right out of the dryer. Save Energy. Because you will leave it on for less time, you will use less electricity. This is good for the environment, but it also saves you money. Silent. Plastic ones can make noise for a while, or a dull thud for the whole load. These ones are incredibly quiet from start to finish. Both versions of this product work very well, and both are pretty similar. There will be some clear differences, but which is best comes down to personal preference. These ones will be quieter than the blue ones for the full length of the load, and they are also made from a more eco-friendly and renewable material. When looking at cost, the plastic ones clearly have the advantage, and with those little spikes, they are more efficient, so you can use as few as two. Those little nubs also have the ability to massage better and remove more lint and wrinkles. Overall, dried clothes will look and feel pretty similar when using one or the other. If you are looking for the most natural and chemical-free option, wool is the way to go. If you are just in it to save money and reduce effort, go for the blue plastic ones. If you've ever read the ingredients that off-the-shelf softeners are made out of, then you already know the answer. The harsh substances are hazardous to anyone's health, but they can be especially irritating to those with sensitive skin or allergies. On top of the carcinogens and toxic chemicals, traditional products are also pretty expensive, and they need to be replaced periodically. When you use this set instead, you only pay once, so the overall cost is much less, and you never have to worry about running out. Add to that the completely natural action, and their ability to do the same job in less time, and the choice is easy. Why throw away money or jeopardize your health when you could just as easily decide on this reusable alternative? They are completely hypoallergenic, and they can even be used by people with wool allergies because they don't shed so the fibers will never come into contact with their skin. Kind of like tennis balls, but without all of the green fuzz. When you toss them in with your clothes, and turn the dryer on, they will tumble with your laundry for the full drying cycle. As this takes place, the balls will separate each piece of clothing and allow air to flow in between. As they tumble, they will massage fabrics to make them softer, and this same action will smooth wrinkles, and reduce static cling. Because the air will circulate better, everything will dry in less time to save time and money, but also preserve the material by avoiding unnecessary exposure to extreme heat. If you like the smell that traditional products provide, add a small amount of essential oil to one or more balls to give your clothes that freshly washed scent. Uses Soften laundry, reduce static, shorten drying times and even add fragrance. Avoid dangerous chemicals or toxic coatings that damage your clothes and affect your health. # Balls 6 balls in each set. These are a game changer! No more dryer sheets! I love these dryer balls! They don't make a lot of noise when the dryer is running, none at all once they warm up. One less thing to buy (fabric softener) and to haul up the stairs to my condo! I gave some to friends to since I somehow ordered 12 of them. Spreading the joy! Great. Love them. Second order. Will use nothing else. 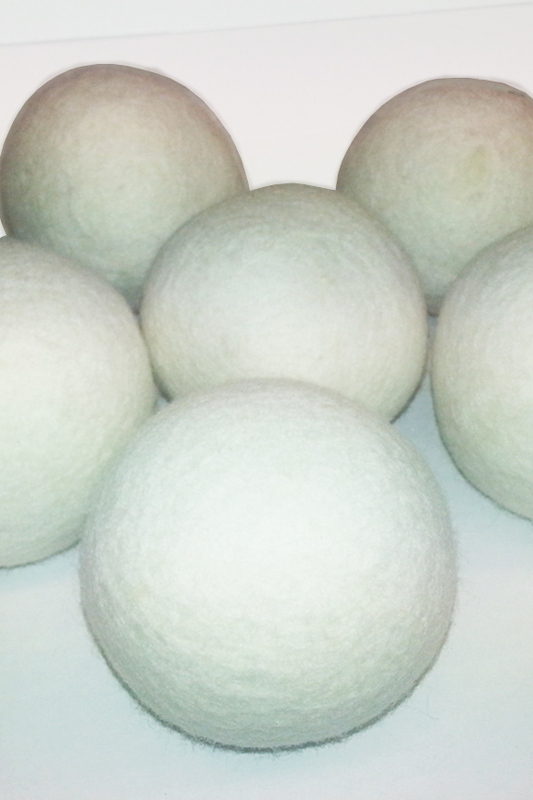 This is my second set of wool dryer balls. I do think they speed things up. I love the dryer balls, they leave my clothes feeling soft, and best of all, they are chemical free. I love my new Wool Dryer Balls. I am amazed they really do shorten the drying time of all my clothes and bedding. I only use products that are cruelty free, so when I heard about these, and that everyone who used them loved them, I decided to try them. They are great! I love them also, and recommend them for those who prefer a chemical free life. Even those that don't. The clothes come out soft and, thanks to a bit of essential oils, smell more like the clean fragrance I enjoy. Absolutely love these dryer balls. I have not had any static electricity with the clothes, my clothes come out soft and wrinkle free!! I like the dryer balls very much. I have allergies and cannot use dryer softener. These are doing a great job thus far of making clothes soft and wrinkle free. I bought these as a gift. I don’t know how they are doing for the gift recipient. But I love mine! This product lives up to its claims. They jumble around the dryer with my laundry, softening and helping to reduce static. They do like to "hide" and I have found them inside sleeves of shirts and legs of leggings so a recount after every load is vital. I even "freshened and fluffed" two feather pillows recently. How are the wool balls different that me putting tennis balls in a sock? First off, there's no questionable rubber core that becomes toxic when heated. Beyond that, they are heavier and more dense, so they massage clothing better. They also have a texture that works better to lift, separate and fluff. You can also add fragrance oil to them to add scent to your laundry which some people may prefer over the funky rubber tennis court odor. Not only will they work better than tennis balls on all fronts, they will also last longer, and remain much safer in comparison. Are these dryer balls soft or hard? I have seen both in wool. We would not consider them hard, but they are very dense. They are 100% wool all the way to the center, and they are not squishy like lower quality versions tend to be. Does the fragrance oil you add to the dryer balls ever get on the clothes? No. Not really. The oil absorbs into the wool, and only the scent is diffused into the air, and onto your clothes as the dryer works. 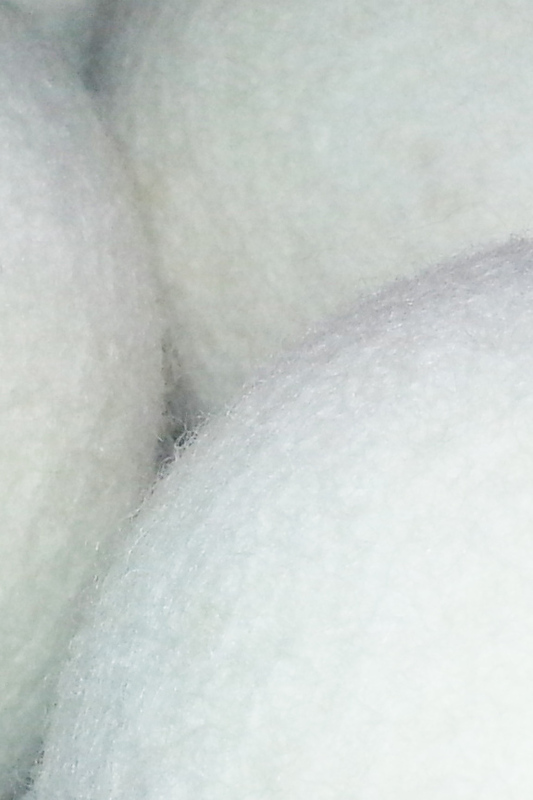 Where are the wool dryer balls are manufactured or produced? What country? How long do they last? 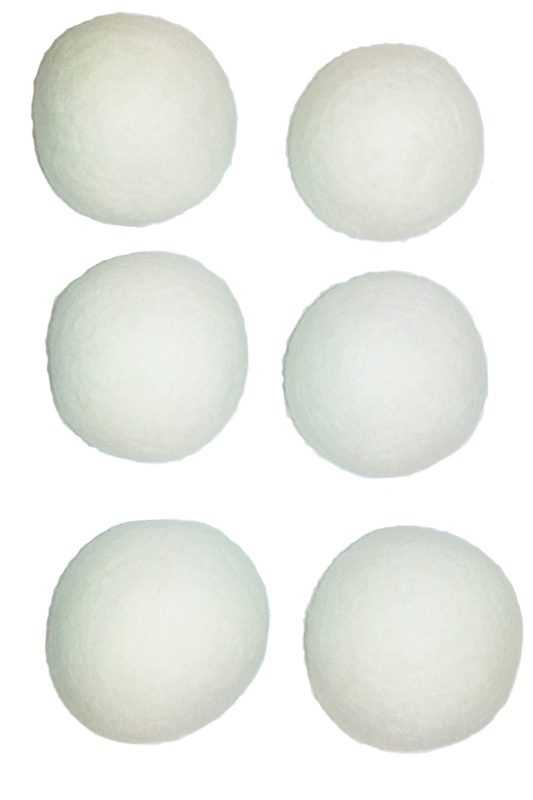 How often should I be purchasing new wool dryer balls? You should get at least 1000 uses out of each set. Use them over and over again, but replace after they are visibly worn. I am allergic to wool clothing... Would this leave anything on my clothing that I could react to? No. People with wool allergies can use these balls without any worry of a skin reaction.